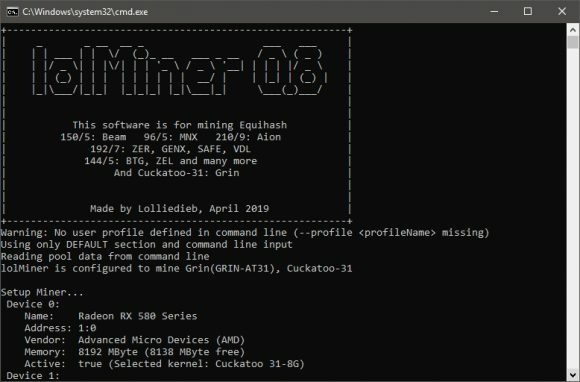 The latest update of the AMD GPU miner lolMiner 0.8 brings support for the Cuckatoo 31 algorithm used by Grin, for GPUs with either 4GB and 8GB video memory (lower memory mens less performance) for Windows and Linux. To mine with the new algorithm you need to use the parameter --coin GRIN-AT31, NiceHash does not currently seem to be supported for C31 though. 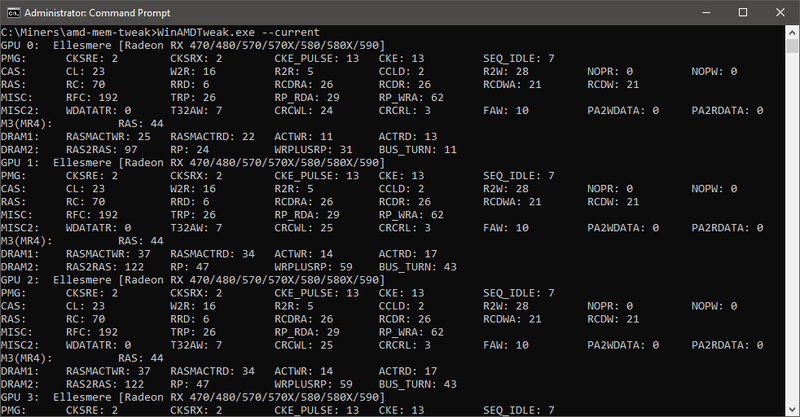 It is interesting to note that the Grin cycle finding is completely done on the GPU, so the miner has almost zero CPU load (on AMD, Nvidia has some due to OpenCL back end). 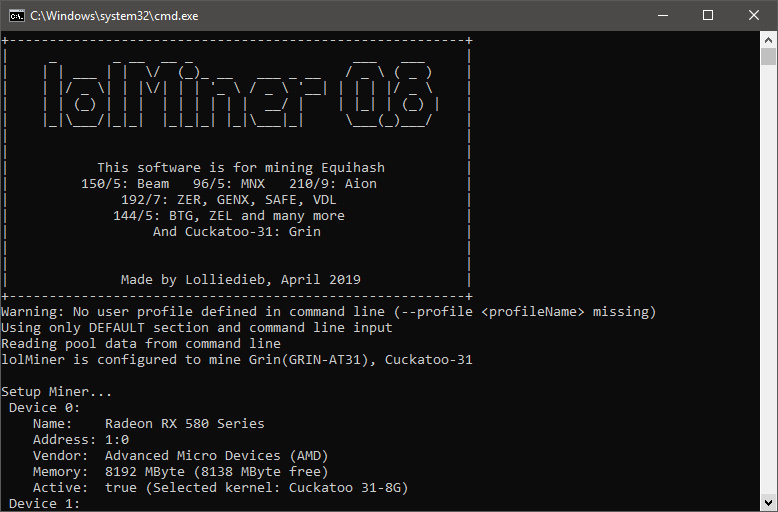 Aside from Cuckatoo 31 support the new version also has some Stratum bug fixes (NiceHash) for Equihash 144/5, 192/7 and 96/5, improved general stability of the miner as well as added distinct 1GB, 3GB and 4GB as well as 6GB and 8GB kernel for mining MNX for Windows (the Linux version that already implemented had this in 0.7.1). We remind you that lolMiner is a closed source OpenCL GPU miner available for Windows and Linux as pre-compiled binaries only and that there is a developer fee for using the software (1% for all supported algorithms). 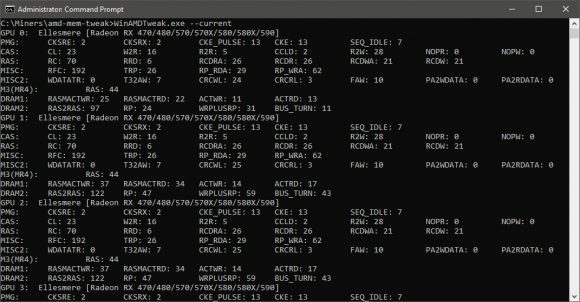 It might work on Nvidia with OpenCL, however stability and performance might not be optimal, so it is best for use with AMD GPUs. The ASIC manufacturer Innosilicon has announced the specifications for their upcoming GRIN ASIC miner and surprisingly it will not be just one device, but three different models instead… similar to the offerings of their competitor Obelisk. If you though that Obelisk GRN1 miners were pretty expensive, especially when up for a pre-order, well Innosilicon’s won’t be much cheaper. The G32 GRIN ASIC miners are a little bit lower priced, but also with lower performance and that is only the pre-order price, not the “regular” price. The estimated delivery time if you pre-order now starts in August 2019 according to Innosilicon and in our opinion this will actually be very hard to manage with three different products, unless of course Innosilicon is already ready with the chip designs. Offering a GPU type of ASIC miner could be a bit of a challenge, although it will be a self contained miner with software and everything onboard, so no need to use it in a PC apparently. What makes Innosilicon G32 GRIN ASIC miners a bit more interesting compared to the competition is the claim that apart from Cuckatoo31+, they will have Cuckatoo32+ algorithm support (with expected hashrates announced) and that they will also be Cuckatoo29/30 backwards compatible. This makes them more flexible for the currently supported and upcoming algorithm changes, though there is no information about the expected hashrate for C29 and C30. Innosilicon also gives a guarantee for April pre-order customers for full refund if their final G32 spec after actual product testing fails to meet the above Performance Target by Sept 30th this year. There is also an extended 9 months warranty (up form the standard 6 months) and “an additional ROI boosting feature, which will be announced before product delivery”. – Installation: Easy installation like a GPU card, in fact is easier. The card is totally self-contained with software / wifi / Ethernet port embedded. Only the standard computer PSU is needed to power the card. Each Card can work alone or be cascaded. – Installation: Come with Ethernet and a 220V/110V compatible PSU. Free PSU for this pre-order. – Installation: Comes with Ethernet and a 220V/110V compatible PSU. Free 220V PSU.